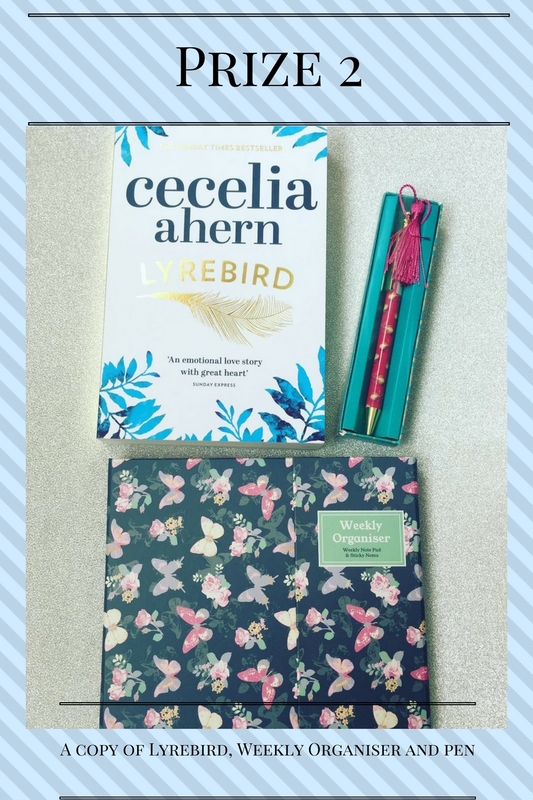 Let's carry on with the celebrations with Giveaway number 2! Up for grabs is a copy of Lyrebird for fans of Cecelia Ahern, I have yet to read this one but have seen many good reviews on this book so hopefully it will be one the winner loves. Also included is a sticker weekly organiser and a pen. PS I love You (no, not you, Rea)- read it such a long time ago, but it's one book I've never forgot. Loved it!! I haven't read any of Cecelia books.